Have you ever seen a blonde Zebra? No, I’m not crazy. I just live in a house full of Zebras so of course I’ll see weird things happening with those Zebras. 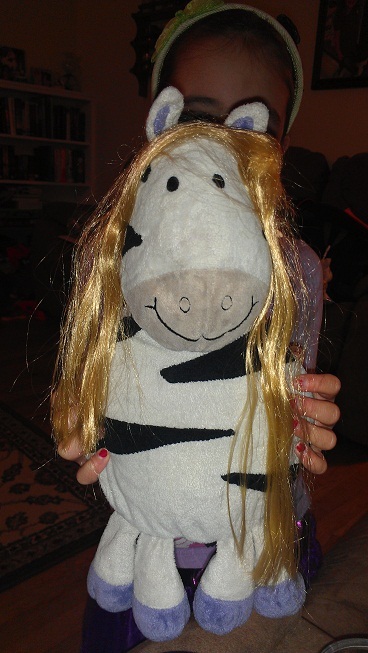 Put a Zebra, a 4 year old and Repunzel together and guess what you get?